Have I mentioned lately that Target has some really, really cute, not to mention affordable things for summer? They are right on "target" as usual with all of their trends including plenty of stripes, polka dots and nautical themed items, not to mention a new theme that I see emerging for summer which I would simply categorize as fruit. It may sound funny, but fruit themed items from pineapple button downs and tees, dresses with groves of oranges, and wicker handbags in the shape of lemons among other fruity offerings seem to be everywhere for summer. 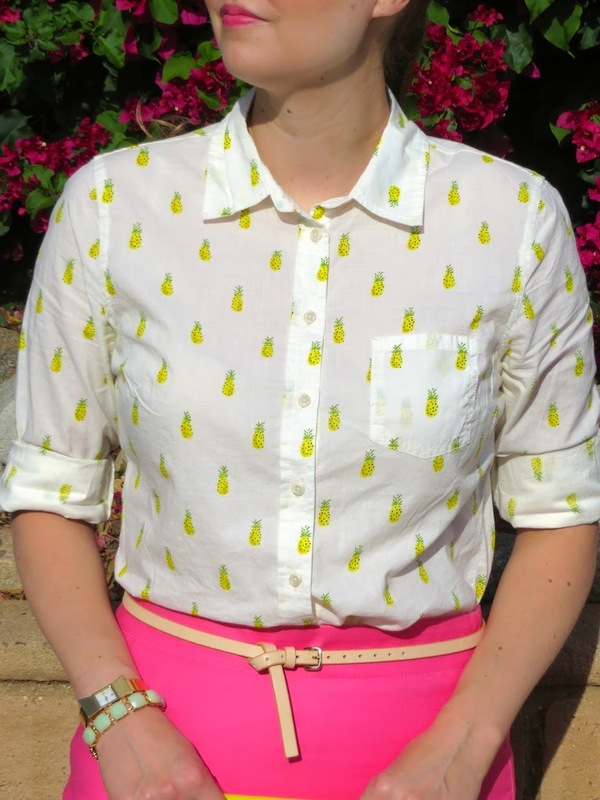 I actually Googled this pineapple shirt to see if I could find inspiration from other bloggers regarding how to style the shirt. 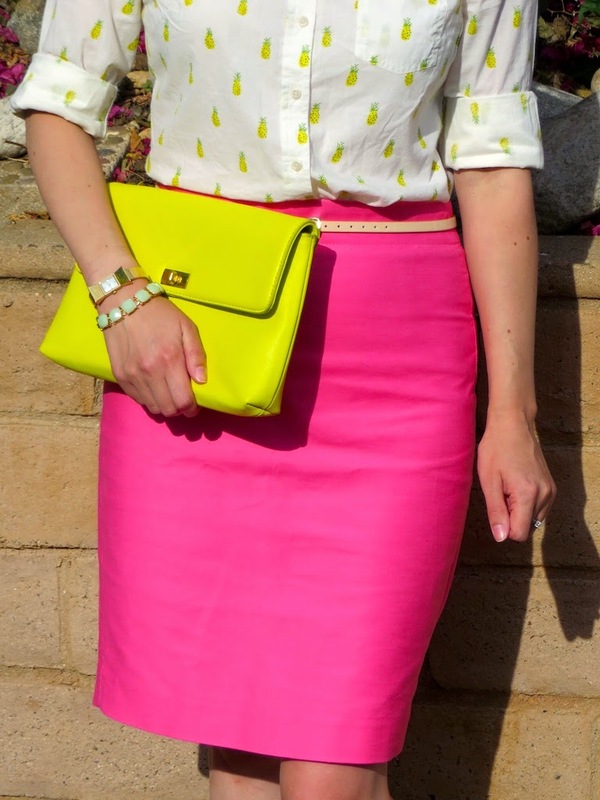 Some bloggers paired it with a striped pencil skirt (as I did with the whale version of the button down, also from Target) but I decided to go for a pop of pink to play up the tropical vibe of the shirt. I personally can't get enough helpings of this citrus/fruit theme, especially living in California where fruit is plentiful. What "themes" are you liking this summer? This one is next on my list - I love it with the pink, Katie!